Having a variety of necessary North Dakota Landlord Forms available at all times is essential throughout the course of every tenancy and can protect you in the event that you have to file eviction or other violation of North Dakota landlord tenant laws. You do not want a situation to occur that leaves you without the proper North Dakota Landlord Forms necessary to a tenancy. It is imperative that you include the written Residential Lease or Month-to-Month Rental Agreement when selecting your landlord forms. The residential lease provides all the details of the tenancy and easily becomes evidence in court should the tenant fail to pay rent or commit other violations of the rental agreement. Having your attorney draw up your residential lease agreement is not only very expensive, but time-consuming. There is no need for you to wait until your attorney takes the time to draw up your lease agreement when you can get the residential lease from American Apartment Owners Association when you need it, not when your attorney gets around to it. A professionally created lease agreement saves you from issues that can arise when there is no written lease or when a rental agreement is created by someone without the expertise to create a document that complies with required state statutes. There are a variety of other North Dakota Landlord Forms necessary for you to always have on hand. The Move In/Move Out Checklist enables you and the tenant to go through the premises and note in writing anything in need of repair or any damaged areas of the rental property. This is completed at the beginning of the tenancy and again at the end of the tenancy. If there are additional damages that are not due to normal wear and tear, landlords can assess the damages to the tenant and deduct the cost of repairs from the security deposit. It is important that if any deductions are made that you provide the Disposition of Security Deposit which states the items or areas damaged and the cost of each repair. This notice is then sent to the tenant along with any remaining security deposit. When you need to enter the property to make repairs, you cannot just show up and demand that the tenant let you have access to the property. Providing the Notice of Entry gives the tenant notice of when you need to enter the premises and the reason you need to gain access. You also must not abuse your right of access as a landlord of North Dakota rental properties. If you need to make changes to the lease the changes must not significantly change the terms of the original lease agreement. Changes may include details such as the tenant is now responsible for all yard maintenance or that certain pets are no longer permitted. At times, you may have to demand that a tenant take specific actions to correct non-compliance with the terms of the lease or for other necessary reasons. Providing the Notice to perform or quit forces the tenant to comply or to quit the premises. An example of a situation when this occurs is if the tenant has pets on the property and you do not allow pets or if the tenant has other people who are not on the lease living with them. If the tenant fails to comply landlords may take legal action to evict the tenant for non-compliance with the lease. When your tenant fails to pay rent when due, the Past Due Rent Notice advises the tenant of the situation and that the tenant needs to pay the past due rent. If the tenant fails to comply and pay all past due rent, the Notice to Pay Rent or Quit advises the tenant to immediately bring their account current or quit the premises or face eviction action. If the tenant still fails to comply the Notice of Termination of Tenancy gives you the right form at the right time to force the tenant out. Each of these North Dakota Landlord forms serve as evidence should you have to initiate eviction action against a tenant. Get the right North Dakota Landlord Forms and feel secure knowing you will always have the essential forms on hand at all times. The American Apartment Owners Association provides landlord forms nationwide. 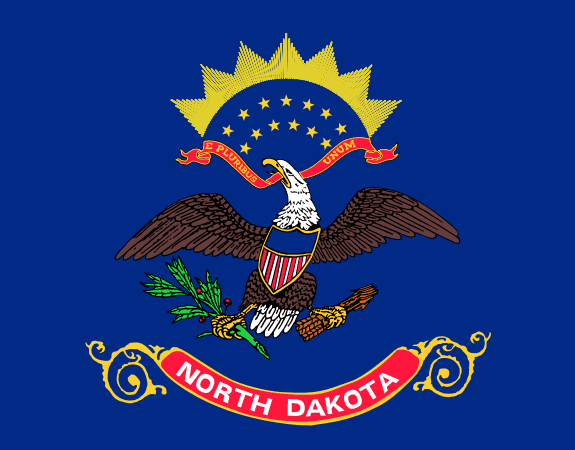 Looking for a state other than North Dakota?